Golden West College, part of the California Community College system, was founded in 1965 and is located on 120 acres of beautifully landscaped grounds within the city of Huntington Beach, a coastal community just 30 miles south of Los Angeles and in the heart of breathtaking Southern California. The college holds maximum accreditation by the Western Association of Schools and Colleges with over 500 faculty serving approximately 13,000 students. Small classes, state-of-the-art equipment and superior faculty prepare international students for an Associate in Arts degree, transfer to a university, in addition to a wide variety of short-term vocational (Certificate) options. Golden West College strives to be a lively center of learning where students and faculty share educational experiences in a friendly, challenging and creative environment. We are, indeed, committed to international student success at GWC. The International Student Program takes pride in offering quality, individualized services to you—our international guests. Our friendly, student-centered support and expertise is available to you throughout your studies. Take advantage of our specialized academic counseling, expert visa/practical training guidance, on-going personalized advising, homestay services and special student activities to make your college experience in the U.S. as rewarding as possible. In support of GWC’s educational philosophy and mission, the International Student Program (ISP) provides comprehensive outreach, programming, and support services to all new and continuing international students. The ISP is committed to maintaining core professional competencies as set forth by the National Association of International Educators (NAFSA: AIE) to deliver quality programs and services; to ensure institutional compliance; and to foster cross-cultural engagement and understanding. 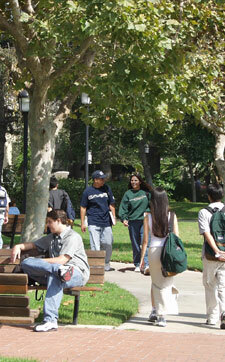 Golden West College is fully accredited by the Western Association of Schools and Colleges.